Sales has changed in the last 30 years. Gone are the days of manipulative and pushy sales people who rely on charm to get sales. Selling from the Heart is the new economy, where relationships matter and old-school techniques just don’t work anymore. In this 45 minute webinar, we’ll discuss how to not only be yourself, but be your best self and succeed! 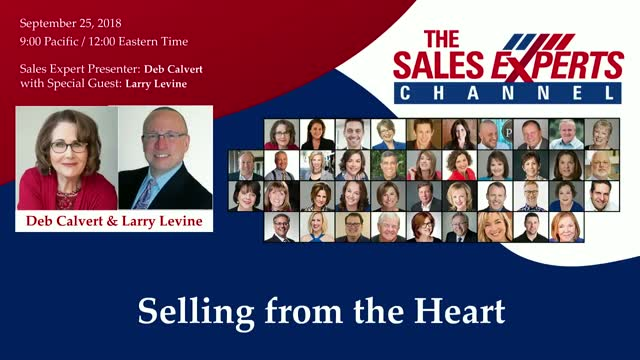 Selling From The Heart is about becoming a true sales professional who takes responsibility for their results. They don’t blame others when things go wrong, they look inward and determine what they could have done to make the outcome better. It is not about blame but self-examination. 1.Why your value proposition is critical to opening up an effective business conversation.